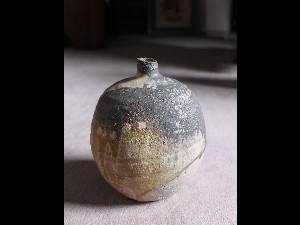 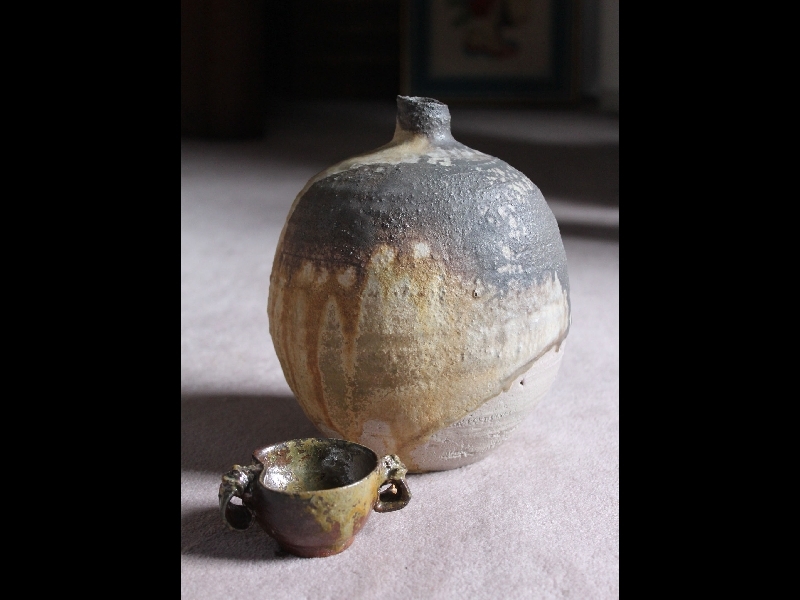 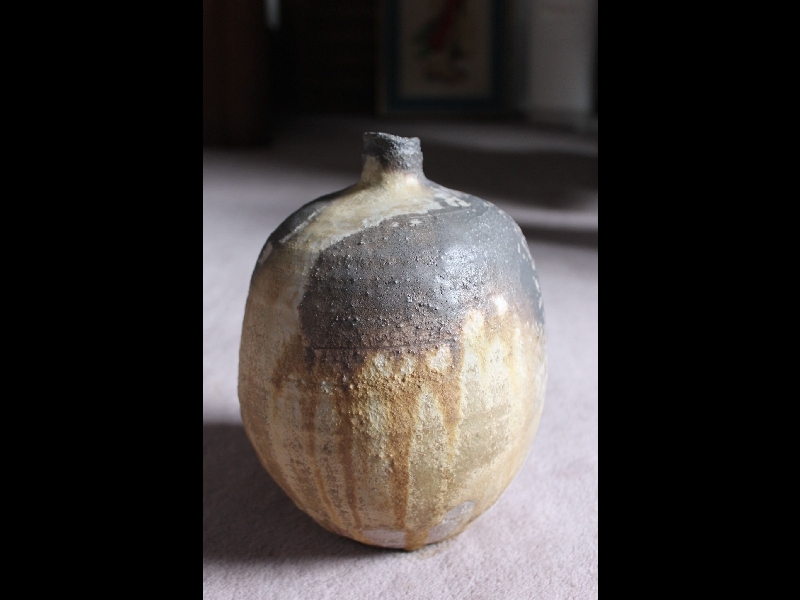 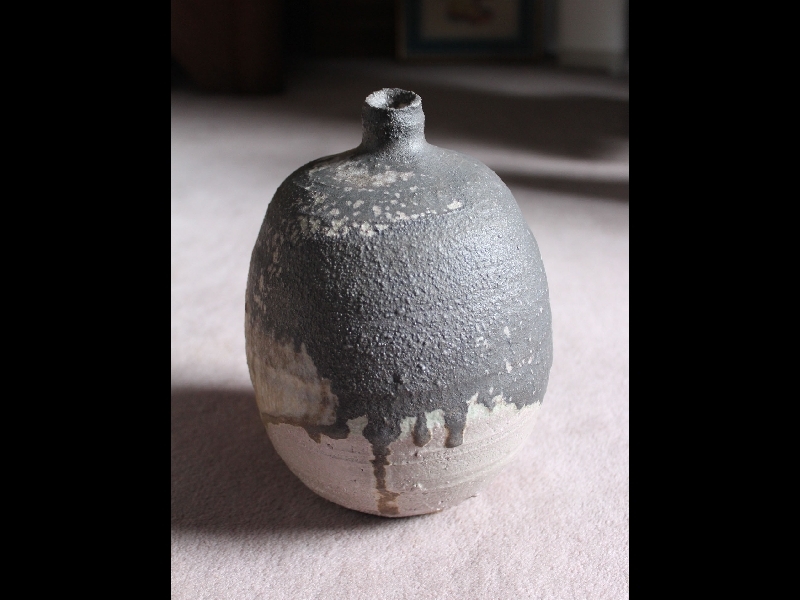 Hori Ichiro's(b.1952) Ki-Seto (Ki is yellow) is not fired in a saggar like most Mino potters. 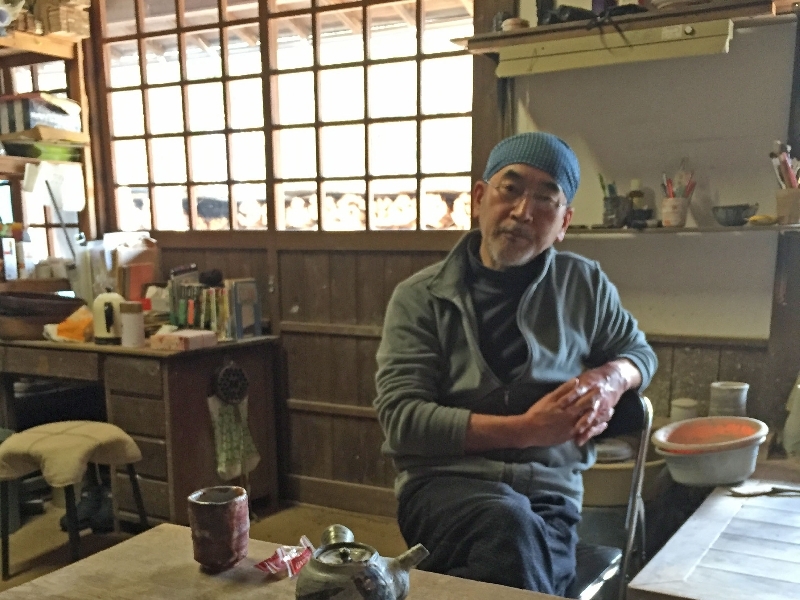 This labor-intensive way follows in the tradition of his teacher Kato Kozo (Living National Treasure for Black Seto) who studied with the first Mino Living National Treasure, the late great Arakawa Toyozo (Shino and Black Seto). 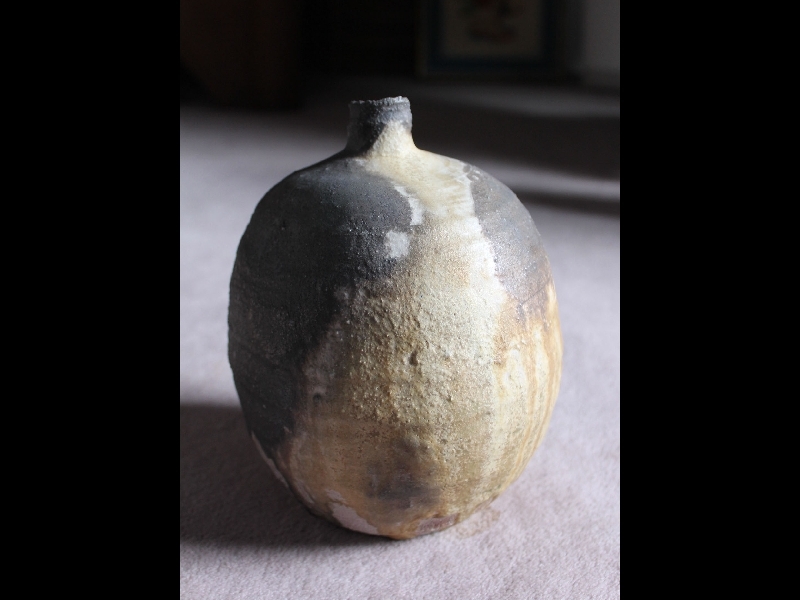 Being of such impeccable pedigree and with a sense like those of ancient potters, Hori's Ki-Seto is alive and simply one of the best, if not the best, Ki-Seto in Japan today. 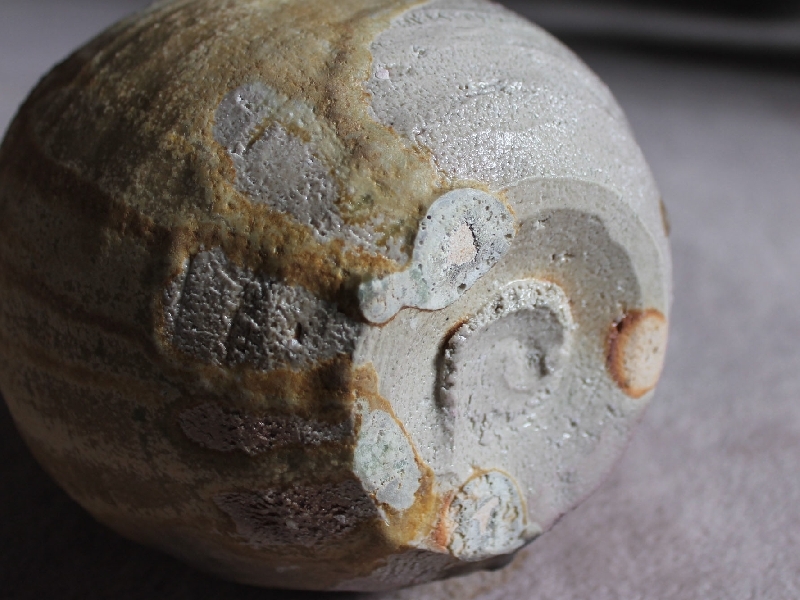 We find various yellow-textured tones combined with toasty scorch markings (koge) of brown and black over most of his work that comes from ash deposits and the flow of the kiln's flame. 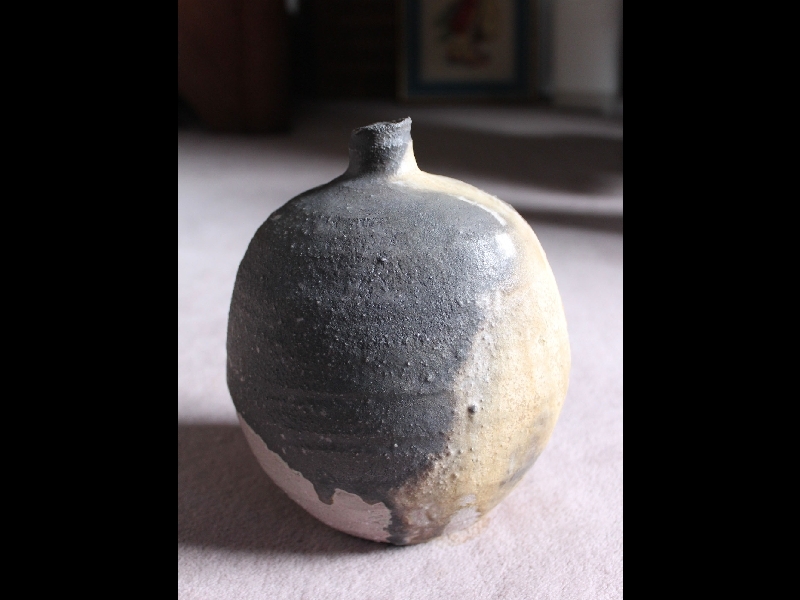 In perfect condition with a signed box, 20.3cm.tallx18x15.5, signed on side near base.